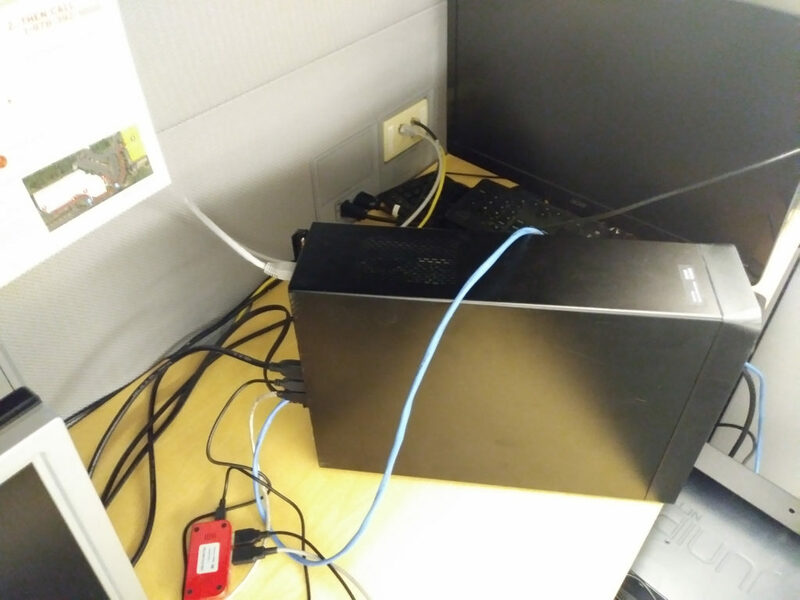 This is what I use to SSH in to dialga from my workstation. Port enp1s0f0 is connected via the Blue Cable to port 0/0/1 of the Switch, and will be used for configuration. 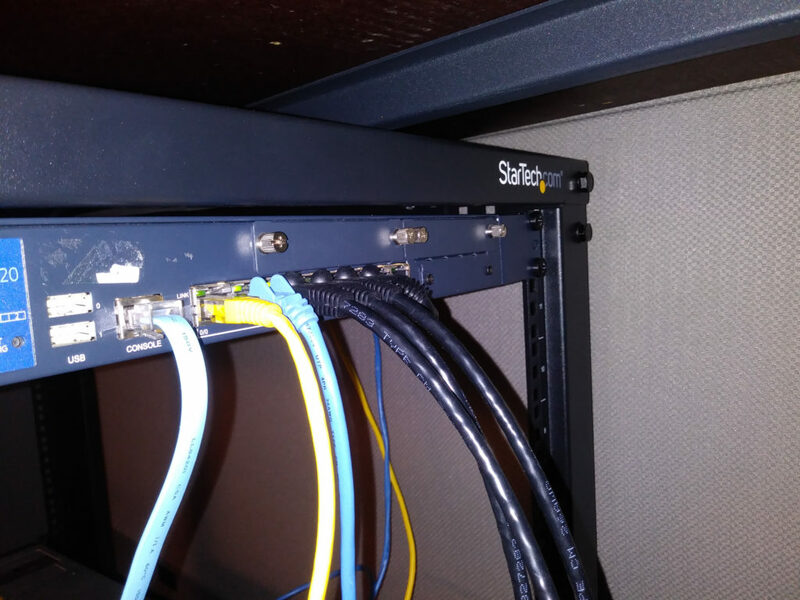 The goal is to have SSH enabled on the SRX 220 via this port only. 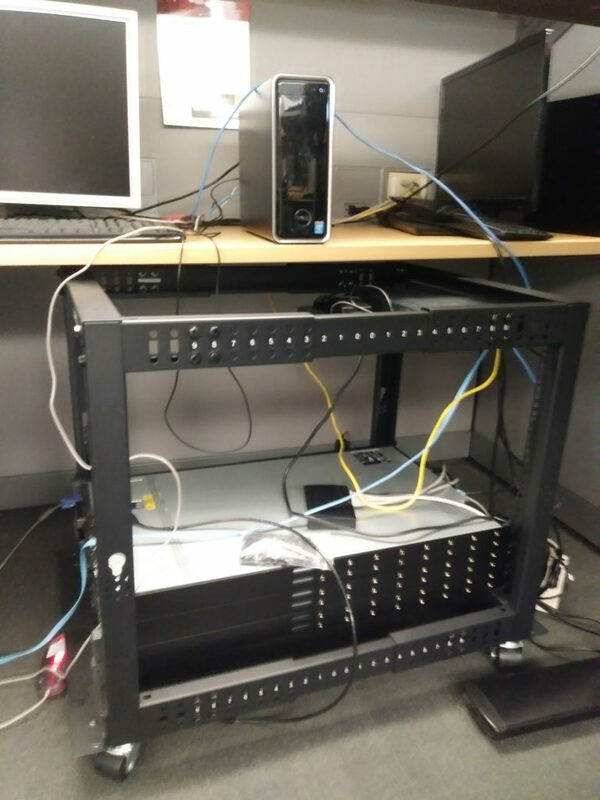 Port enp1s0f1 is connected via the Black Cable to port 0/0/5 of the Switch, and will be used for Director; PXE and IPMI to start. 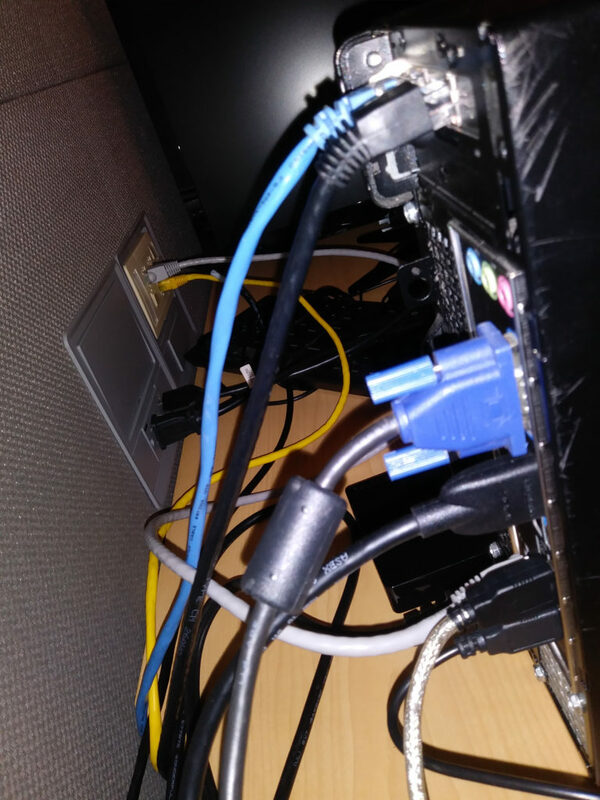 The console cable has an RJ45 connector on one end and a USB connector on the other, with a conversion in the middle from/to serial. I can connect from Dialga to the SRX 220 over this using Minicom.